The state of Tennessee has specific codes and statutes regarding crimes of arson. The level of offenses range from minor misdemeanors to Class A Felonies. 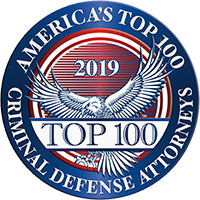 Additionally, although an offense may initially be categorized as a misdemeanor, there are certain circumstances that will increase the offense level to a felony. (b) With intent to destroy or damage any structure to collect insurance for the damage or destruction or for any unlawful purpose. Arson is a Class C felony. However, the crime will be considered a Class B felony if it is determined to have occurred in a place of worship. (b) When any person, including firefighters and law enforcement officials, suffers serious bodily injury as a result of the fire or explosion. Aggravated Arson is a Class A felony and carries the most severe fines and penalties of all arson crimes. (b) With intent to destroy or damage any such property for any unlawful purpose. Violations under T.C.A. § 39-14-303 are Class E felonies. (c) Knowingly starting an open air or unconfined fire in violation of a burning ban as determined by the commissioner of agriculture, in consultation with the state forester and the county mayors of impacted counties in extreme fire hazard conditions. Reckless burning is a Class A misdemeanor. Leaving Fire near Woodland Unattended (T.C.A. § 39-14-305) is the act of originating or using an open fire and leaving that fire unattended without totally extinguishing the same, if it is within one hundred fifty feet (150) of forest or woodlands or within one hundred fifty feet (150) of other inflammable material, resulting in the fire being conveyed to forest or woodlands. A violation of this section is a Class B misdemeanor. According to T.C.A. § 39-14-306, Setting Fires At Certain Times Without Permit, it is unlawful for any person to start an open-air fire between October 15 and May 15, inclusive, within five hundred feet (500) of any forest, grasslands or woodlands without first securing a permit from the state forester or the state forester’s duly authorized representative. Depending upon the potential for hazardous burning conditions, the state forester may prescribe a period other than October 15 to May 15 within which a permit must be obtained prior to starting an open-air fire. A violation of this subsection is typically a Class C misdemeanor. However, violations of T.C.A. § 39-14-306 may be considered Class A misdemeanors if the commissioner of agriculture, in consultation with the state forester and the county mayors of impacted counties, has issued a burning ban prohibiting all open air fire in any area of the state in extreme fire hazard conditions. The Tennessee criminal defense attorneys at the McKellar Law Firm are experienced and knowledgeable in cases dealing with crimes of arson. If you are under investigation or have been charged any of the crimes listed above, it is important that you contact a skilled attorney immediately. Call the Tennessee criminal defense attorneys at the McKellar Law Firm today for a Free Consultation at 865-566-0125. The criminal defense attorneys at McKellar & Easter, Attorneys at Law, are experienced and knowledgeable in cases dealing with crimes of arson. If you are under investigation or have been charged with any of the crimes listed above, it is important that you contact a skilled attorney immediately. To schedule a free initial telephone consultation with one of our lawyers, call 865-566-0125 or send us an email. We accept credit cards.